The NW Warriors will start the defence of the their interpro championship title with an away trip to the Northern Knights at the end of May. 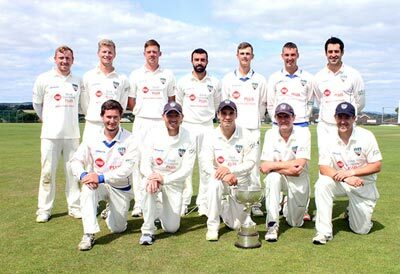 June sees them host Leinster Lightning, with the three-day game due to start on Monday the 17th. Their final two games in the Championship take place in August, with an away trip to Dublin to face Lightning , before the tournament concludes with a home fixture against the Knights from the 27th to 29th. They missed out to Lightning in the final IP50 match last year, and it's the champions who will provide the opposition when the format begins - in La Manga on April 22nd. There are six game scheduled for the 50-over format, which represents a 50% increase on previous editions. There are also more fixtures planned for the T20 format, with Festivals in Pembroke, Bready and La Manga proposed. The fixtures are still subject to change, with the Unions due to confirm later this month, while all games will still be subject to ratification by the Cricket Ireland Board at their February meeting.